Welcome to the beginner piano lessons section of PianoLessons.com! Learning how to play the piano can be frustrating, but we are here to make it easier on you with these beginner piano lessons. This section will cover the most basic piano topics to make sure you understand the lessons as you progress through them. Take your time on each beginner lesson and make sure you fully understand and can use what you have learned before you move on to the next lesson. Congratulations on making the decision to learn how to play the piano, we look forward to being a part of your learning process! Here are your beginner piano lessons! To get the most out of the Beginner Piano Lessons Section on PianoLessons.com it is best to work through the piano lessons from 1-11 in order. These lessons are specifically designed to take you from a complete beginner who knows nothing about the piano to playing the piano with confidence. 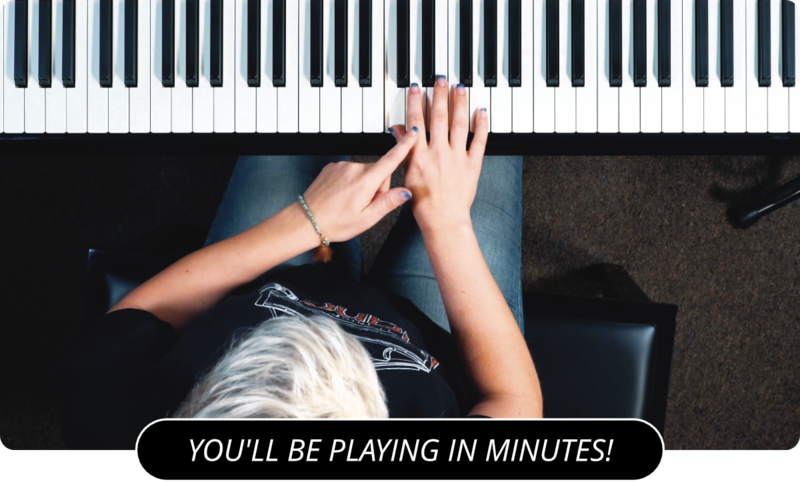 At the bottom of each beginner piano lesson you will find a quicklist containing all of the Piano Lessons in the order that you should be completing them.